Our biggest creative project of the season! 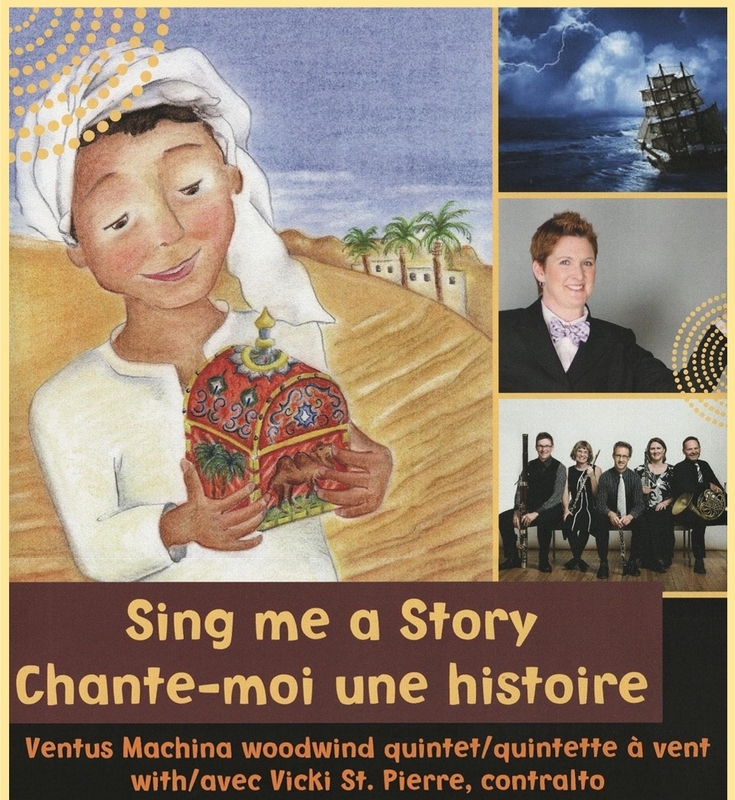 With new works written for Ventus Machina by Andrew Creeggan, Jean-François Mallet and Richard Covey, Sing me a Story! expands on the great reception of our last venture into musical story-telling, Jean le Chasseur, and continues our fruitful partnership with composer Mallet and publisher Bouton d'or Acadie. Including Richard Gibson's eerie and powerful Legends of Acadia, many stories will be told in music and words with the help of our guest singer and narrator, contralto Vicki St. Pierre. Sing me a Story! tours New Brunswick in February and March 2019. We are grateful for the support of the Canada Council, the Government of New Brunswick, ArtsNB and the SOCAN Foundation. Sing Me a Story would not have been possible without the generous support of these organizations.